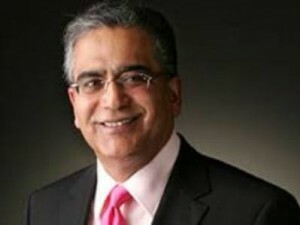 22.04.215: The Editor in Chief of India Today Group Aroon Purie is named as the Editor of the year. He received the award from Jayant Singh, Union Minister of State of Finance in a ceremony in Mumbai. International Advertising Association India selected Aroon Purie for this award. 22.04.2015: Aam Aadmi Party appointed Sangrur MP Bhagwant Mann as party leader in Lok Sabha. He was appointed in place of Dharam Vira Gandhi. AAP has four members in Lok Sabha from Punjab. 22.04.2015: Indo-Czech Republic duo Archana and Anezka won the doubles title at French Junior and Cadet Open held in France. The event was held at Metz, France from April 15th to 19th. Archana Girish Kamath, sub-junior national tablet tennis champion lost in the semi final in team event but won a bronze medal. 22.04.2015: Cricked South Africa announced a new tournament to encourage the game in the country. The tournament will be conducted from 4th September to 4th October this year and the countries that will participate in the tournament are Kenya, Namibia, Zimbabwe and South Africa along with 12 CSA affiliates. 22.04.2015: Japanese bullet train Maglev created a new world record in speed. A test run was held and its speed was 603 kilometers per hour. Earlier record was 580 kilometers per hour and was created in 2003. Maglev runs 10 centimeters above the tracks. It provides much smoother and quieter ride when compared to traditional high speed rail. 22.04.2015: Rajaji National Park in Uttarakhand is declared as the Tiger Reserved. This is the 48th tiger reserve in India. National Tiger Conservation Authority granted approved for this. This is the second tiger reserved in Uttarakhand the other being Corbett Tiger Reserve. Rajaji National Park is spread across three districts, Dehradun, Haridwar and Pauri Garhwal and is home for various reptiles, fish, bird species and Asian elephants. This entry was posted in Current Affairs, News on April 23, 2015 by Rakesh.